Liam Payne is a British singer who was born on August 29, 1993 in Wolverhampton, West Midlands, United Kingdom. On Spotify, Liam Payne is very popular with about 3.2 million followers and a popularity score of 79 out of 100 as of 2018. His most popular track on Spotify is "Polaroid" from the album Blue. 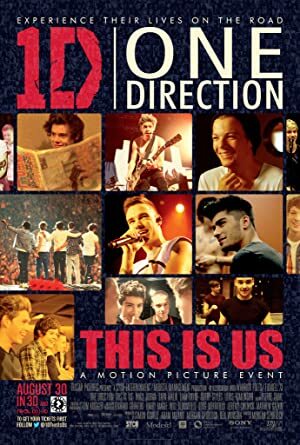 One Direction: In Their Own Words (2014) and One Direction: This Is Us (2013) are some movies in Liam Payne's recent filmography. Liam Payne's Instagram account (@liampayne) is very popular with around 17 million followers. His recent posts to Instagram have gotten around 673,000 likes each. With a popularity score of 79 out of 100 and 3.2 million followers as of 2018, Liam Payne is one of the most popular artists on Spotify. Strip That Down - Single, Familiar - Single, and Phoenix (Deluxe) are some of the more popular Liam Payne albums. Notable tracks from these albums include Strip That Down, Familiar, and For You (Fifty Shades Freed). Strip That Down has a popularity score of 82 out of 100, making it the most popular track from Liam Payne. Familiar and For You (Fifty Shades Freed) have popularity scores of 77 and 74, respectively. The Spotify popularity score is on a scale from 0 to 100 and reflects the number of times the song has been played and how recently it has been played. As of 2018, Liam Payne has appeared in about 4 movies. Some of the most recent Liam Payne movies include One Direction: In Their Own Words, One Direction: This Is Us, and One Direction: This Is Us: Extended Fan Edition. One Direction: In Their Own Words was released in 2014. One Direction: This Is Us was released in 2013. One Direction: This Is Us: Extended Fan Edition was also released in 2013.